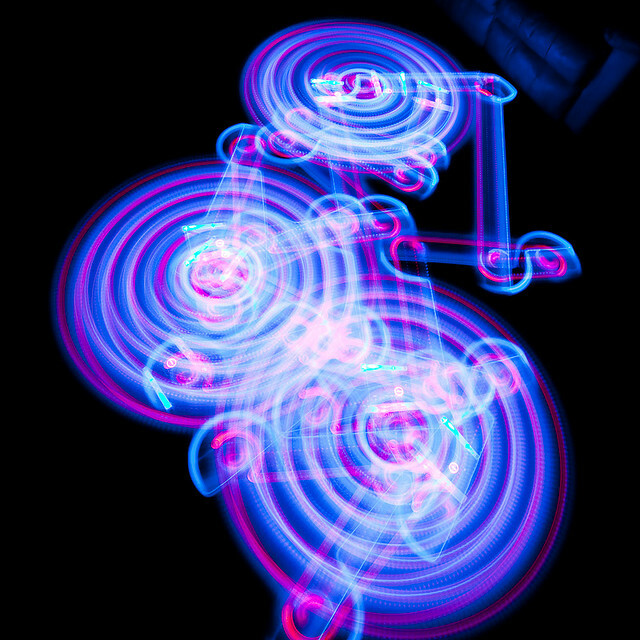 What happens when you combine Roombas + lights + long-exposure? Pure mathematical gorgeousness. We have a Roomba and love it though we do, sometimes we treat it like a stupid machine. Roomba sets off the house alarm, so we can only run it when the alarm is off. And sometimes it doesn't pick everything up, so we wonder about the algorithm and its ability to really, truly figure out where it is and where it has been. But then it does something smart like figure out where the stairs are, or spend a little extra time where there is more dirt. 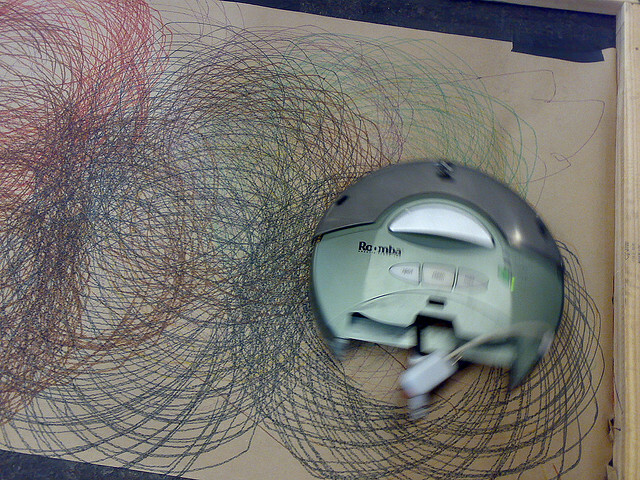 And Roomba is totally redeemed. But it's a little black box to us, we wonder how it works, how it figures out where to go, and how it does all the magic it does to keep the floors clean. 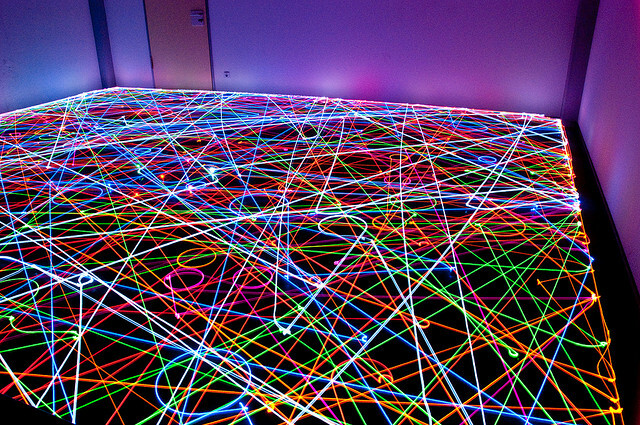 If you want to know how Roomba works, you should check out this article on How Stuff Works. 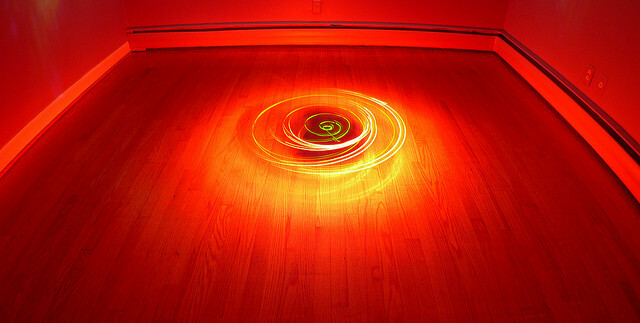 You can view more in the Roomba pool on Flickr.